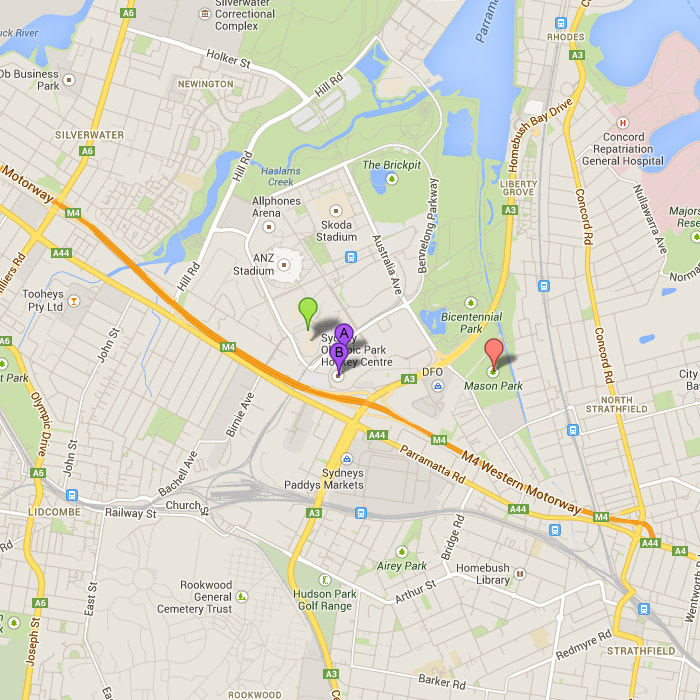 Hockey Centre (Marker A) - Soccer, Touch Football, Tag League. The Hockey Centre has a high quality cushion court synthetic playing surface which is suitable for use in all weather conditions. Parking is available at the Sports Centre, accessed from Olympic Boulevarde. Just page the attendant via speaker phone at the gate for entry. Toilets, Change Rooms & Showers are available. Warm Up Arena (Green Marker) - Touch Football, Tag League. The Warm Up Arena has a high quality long profile synthetic playing surface which is suitable for use in all weather conditions. Parking is available off Shane Gould Avenue. Toilets, Change Rooms & Showers are available. Mason Park (Pink Marker) - Soccer, Touch Football, Tag League. 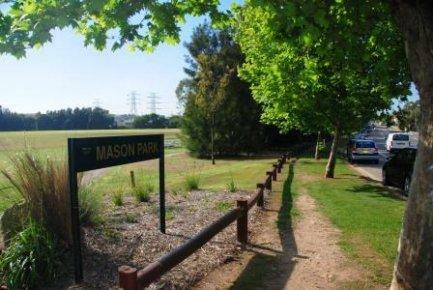 Mason Park is mid way between Sydney Olympic Park Railway Station and North Strathfield Railway Station, approximately 1.4km in either direction. There are 4 full size grass playing fields. Off street parking is available in the adjoining Car Park. Toilets, Change Rooms and a Communal Shower are available. Mason Park is managed by Strathfield City Council.